Age 102, passed away on January 8, 2017. She was born in Waiahole and lived in Kahuku for most of her life. After she retired from Kahuku Hospital as a nurse, she became more active in the family farming business. She was a devout Buddhist. 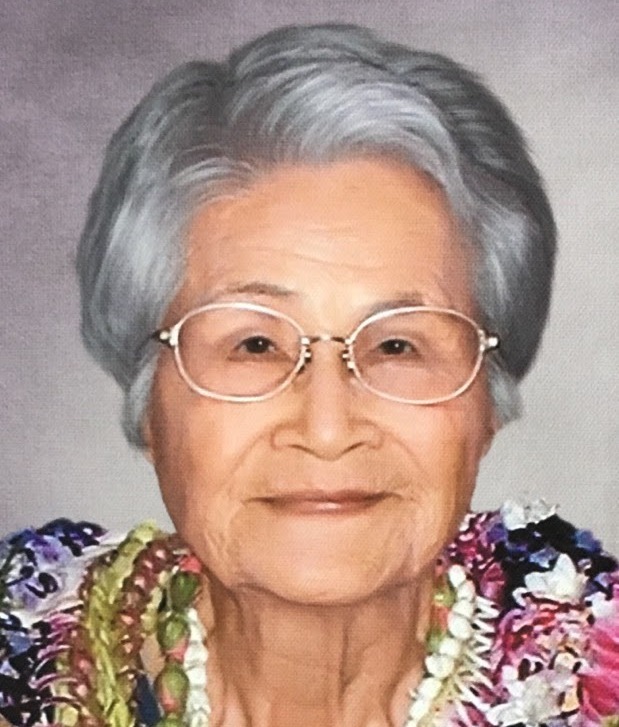 She is survived by six children - Florence Tanigawa, Shirley (Herb) Iwahiro, Jane (George) Yamasaki, Maureen (Takao) Takeuchi, Karen (Greg) Jones, and Melvin (Momi) Matsuda; two sisters - Sachie Yamada and Hatsue Chemsak; 18 grandchildren; 23 great-grand- children; and 2 great-great- grandchildren. Private services were held.